The notion of modern youth culture is not something that came about overnight. Nay, it was a hard fought and tremendously tumultuous journey to recognition. 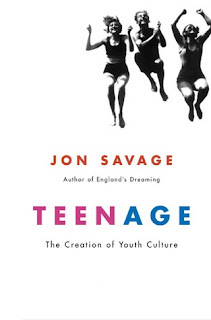 Having just completed reading Jon Savage’s fascinating book Teenage: The Creation of Youth 1875-1945, it transpires that young people were largely ignored as complex beings for more than sixty years. More often than not, teenagers were abused creatures, manipulated by mendacious adult figures that would cajole them into fighting deadly wars or deprive them of liveable wages during austere periods (seems like we’re almost going back to square one there). Teenagers needed to create a voice that would acquire recognition and understanding, but the louder they yelled, the less they were heard. This was a global problem, with autonomous youth groups creating isolated units of collectivism, but these very groups would often form into either violent fascist organisations or decadent hedonistic revellers that burnt out within moments of starting up. But it was America that lay claim to the truly relatable and identifiable image of the teenager. The precursor of the Hitler Youth movement in Germany perceived American popular culture as clownish and stupid, while British intelligentsia abhorred America’s unsophisticated youth identity, with George Orwell arguing that “up until 1930 nearly all ‘cultivated’ people loathed the U.S.A., which was regarded as the vulgarizer [sic] of England and Europe.” Yet both of these respective cultures eventually adopted the American teen image as the adolescent identity of choice. The truth is the modern teenage archetypes that youths’ aspire to be were actually facilitated by a female contingent. America’s monopoly on youth culture was thanks to girls buying into the then modern image of peer collectivism. For the first time teenagers were people that seriously mattered because they could now be quantified as a consumer market. Nothing signified this moment better than the arrival of Seventeen magazine in 1944, a publication that treated American teenage girls as quasi-adults, talking to them instead of down at them. Packed with features on beauty, fashion, music, movies, ideas and people, Seventeen mobilised the American teenager as the most unacknowledged consumer force hitherto unrecognised. 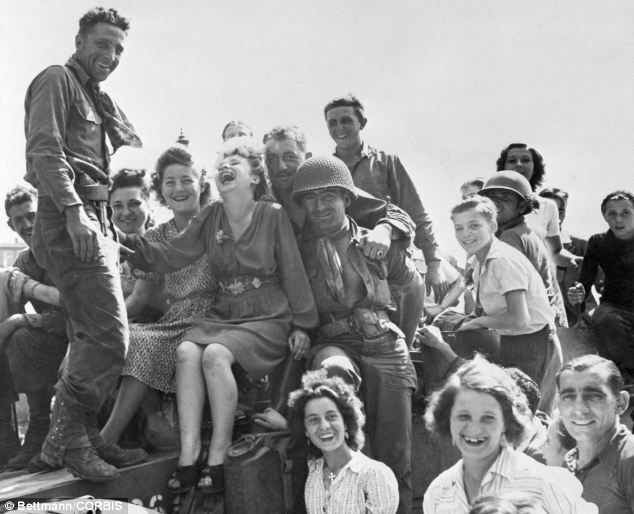 Ultimately, the salvation of American youth was its economic ferocity. Even back in 1944, a pre-launch ad copy of Seventeen advised potential advertisers that American youth had an estimated spending capacity of $750 million. Untold riches awaited all those wanting tap into this market. If the American superstructure had largely dismissed its youth as surplus to requirement during the Great Depression and war, it was now a tantalisingly formidable subculture purely on the basis that teenagers will buy products and lifestyle choices specifically targeted at them. Essentially, teenagers were nothing until a bunch of middle-aged people realised they can make colossal amounts of money off them. As with any lucrative market, a philosophy aimed at defending teenagers’ interests and lobbying for its welfare became tantamount. And now we’re in 2013, a period in which the American teenage girl holds the most global cultural capital imaginable. The pop charts are awash with divas that teenage girls adore; the bestseller lists are festooned with YA books teenage girls respond to; and cinemas are governed by movies that court teenage girls’ adorations on the basis that this is a market loyal to both stars and brands. Perhaps the most intriguing aspect of teenage youth culture is that of individuals beyond that age bracket still wanting to buy into it. Everyone is trying to perpetuate their youth, with most of us intent on preserving our sense of adolescence way past what was previously permissible. Teenage culture now belongs to everyone that can afford it. Teenagers are only important as a social demographic as long as its purchasing power remains intact. With economic gloom factoring into every element of modern life, it’s no surprise that the young have borne the brunt of this with widespread youth unemployment and exorbitant university debts. Trend makers have shrewdly expanded the parameters of what constitutes youth, meaning those that maintain ‘youthfulness’ via products and attitudes are more than welcome to buy into it. Youth has become less a period of time and more a state of mind, almost as if we grow old before we grow up. So where are we right now? The American teenage girl remains viable as ever but her image has become mangled and benign. American cinema expertly satirised its female teenage contingent’s viscosity and emptiness this summer through two very well produced features. Sofia Coppola’s The Bling Ring and Harmony Korine’s Spring Breakers revelled in depicting American youth’s meretricious antics, holding a mirror to how dangerous and pathetic its pleasure-seeking pursuits can be. We are presented with scenarios in which adolescents run wild in efforts to detach from reality and live in denial of who and what they are. Rather than reading about an unattainable celebrity lifestyle in the pages of magazines like Seventeen, the modern American teenage girl is willing to go to toxic lengths in order to live the dream. It is now widely believed that such aspirations are readily attainable just by pure want. The concept of hard work and talent is meaningless because one can have it for the taking. Just look at the plethora of disposable celebrities churned out by reality television shows that offer grating wannabes the opportunity of fleeting recognition for all the wrong reasons, only to have it mercilessly snatched away from them just as quick. The American teenage girl ceases to be a pillar of inquisitive development and has simply become a parody of our times. The teenager has ostensibly come a long way since its precarious beginnings, yet it has not fundamentally changed in well over seventy years. It remains a client label, appreciated because its consistent consumer potency remains valuable as ever. 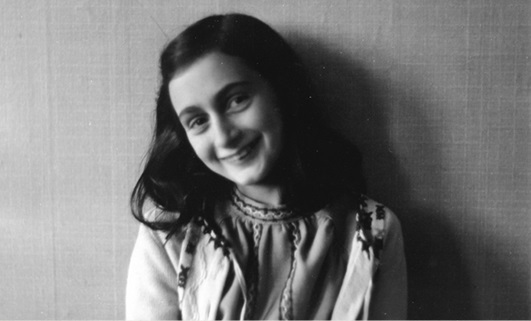 As Jon Savage acknowledges in his book, perhaps the most enduring and complex figure of adolescent girlhood remains Anne Frank, who was, ironically, incarcerated in Bergen-Blesen extermination camp the very week the New York Times published “A Teenage Bill of Rights”. Also, Seventeen had ran articles on how “Anti-Semitism” and “Anti-Negroism” were a menace to American society and must not be tolerated by its readership, but such intelligent discourse is perhaps considered too preachy by modern magazine publishers aiming articles of interest at teenage girls. Seventeen’s imploration of tolerance and equality came too late for Anne Frank, who had attempted to contextualise her own fears and complexities of being a teenager in her diary, aching to be understood by unfair and contemptuous social systems that subsequently slaughtered her for the most incomprehensible reasons. In that sense she remains the most important teenager ever documented: tragic, stoic and perennially promising in equal measures. 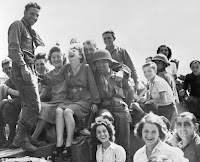 Teenage movements existed long before Anne Frank came into being, only those movements weren’t homogenised, commoditised and sold to the masses. In that sense, we are all allowed to be teenagers only because we’ve devalued it as a social status. It stands for little and advocates even less. It’s just a label that invokes not much more than marketing opportunities. These things run in cycles and there is every reason to think teenagers in the near future may return to a more tangible and real system of connectivity. There is too much happening in our world which is littered with international terrorism and economic woebegone. Technology and distractions infiltrate our everyday sense of reality, which makes it harder to step back and see where we are as a society. When the dust settles, one can’t help feel that the youth may be compelled to take a long hard look at itself and force through a change. Youth history is riddled with such occurrences and a renaissance of honest teenage existentialism seems long overdue.